We launced a SUP (Stand Up Paddleboarding) in August 2015 and we are excited to start programming in May 2016. Harriott Parker will continue to teach classes and she is certified through the World Paddle Association in Water Safety/SUP Education along with her Lazy Dog PaddleYoga Certification. Join her for a challenging workout outside the gym, yoga or a fun paddle. As long as people are motivated to learn, beginners are welcome. If this is your first time please let us know and we can schedule a time to get comfortable on the board. We are excited to get back on the water. If you are interested in learning more about this program or class offerings please sign up for our newsletter below. Look forward to paddling with you! Purchase your 2018 SUP Sessions! $15 Drop in with your board. $25 Drop in without a board if class availability. o Looking for a 1 on 1 lesson or do you have a small private group that wants to get on the water? 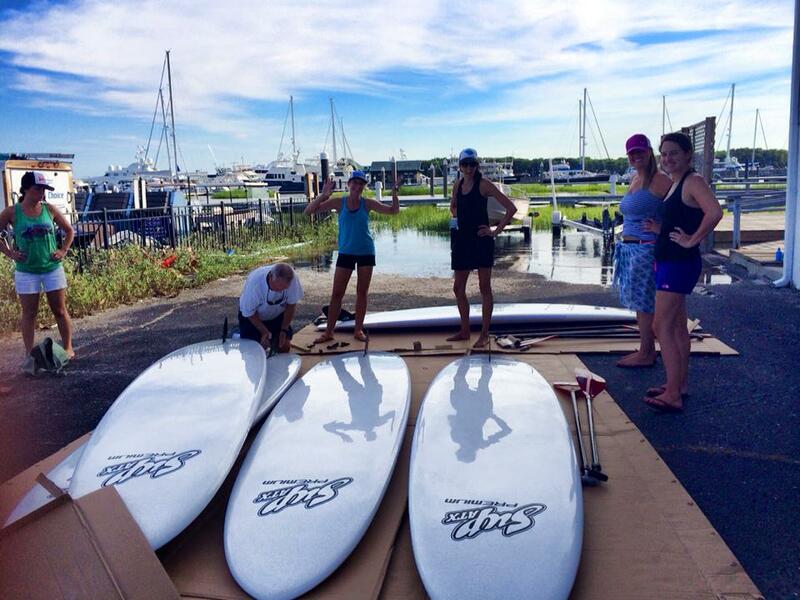 Create your own lesson and choose your goals SUP Yoga, fitness or just SUP. Anytime – please call to schedule!